At dinnertime in Kenya, ugali is almost a guarantee. Like naan in India and pita in Greece, the spongy bread made of maize flour and boiling water lies at the heart of the Kenyan diet. 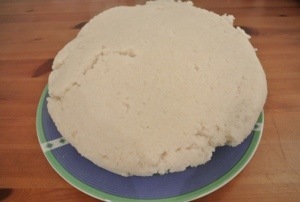 Once it’s cooked, pieces of ugali are torn, balled up, indented, and used as a scoop for the accompanying stew. And as Moses reminded me throughout the night, the Kenyan reliance on ugali is one of the reasons that they’re generally healthier- and faster- than Americans, despite our technological and materialistic advantages. 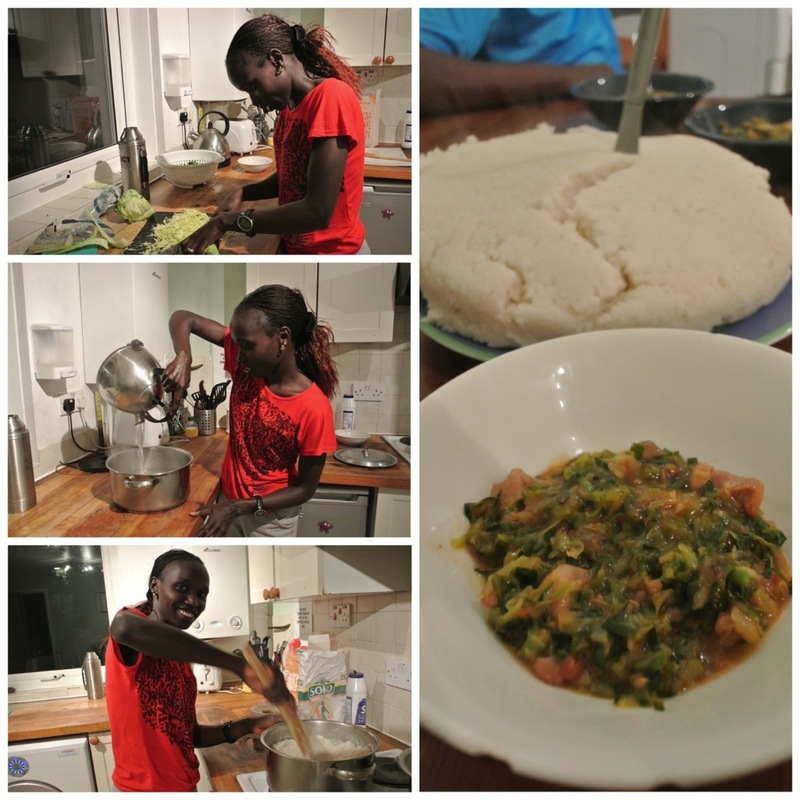 Last week, I got a little taste of Kenya in London when I cooked and ate ugali with Vivian Cheruiyot and her housemates. While I took notes and did a little chopping, Vivian walked me through the cooking process, Moses helped us mix the dough, and their 3 friends joined us for the finished meal. I tried not to sound too excited… but I loved everything about it! The flavors, warmth, texture, and especially the excuse to disregard the kitchen table rules I grew up with as I ate with my hands. They were thrilled that I liked it and recorded the recipe, and told me I’ll be an expert and can make it for them when I visit Kenya. 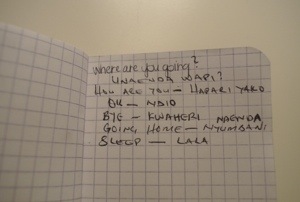 After I cleaned my bowl and had a few more pieces, they taught me how to cap off a dinner Kenyan-style by simultaneously drinking milk and chewing bites of ugali. It wasn’t bad- more unfamiliar than anything- but I think it’ll take a little longer to develop a taste for that combination. From my ugali lesson, I gained an authentic recipe that’s unlike anything I’ve ever made or tried. But I also learned something I was not expecting. 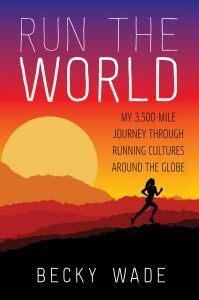 Like running, cooking is an almost perfect way to connect with a person from a different culture. When verbal communication is possible, the activity prompts all sorts of culinary and cultural comparisons. But a common language isn’t necessary to follow someone’s lead and throw ingredients into a pot. Even with a language barrier in tact, the cooking process opens the door for the exchange of basic vocabulary words and the opportunity to express appreciation and respect for a different way of living. Miki!! That is so awesome to hear! I totally loved eating it too and think it is great that you went for it. 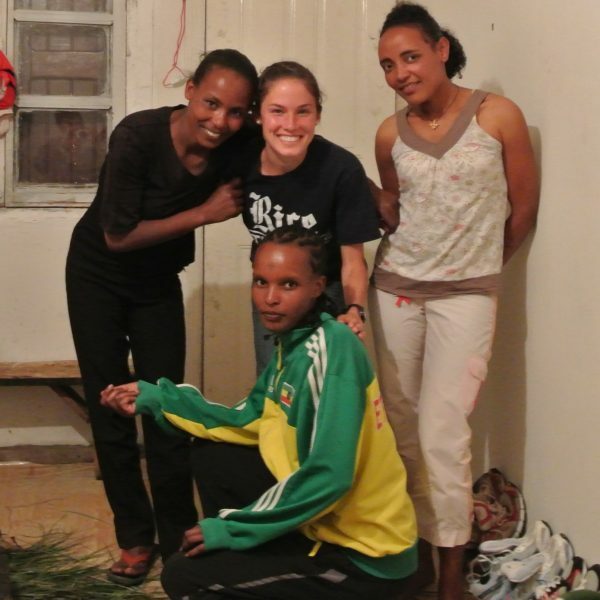 I’ll let you know what the Ethiopians eat and we can see how they compare!